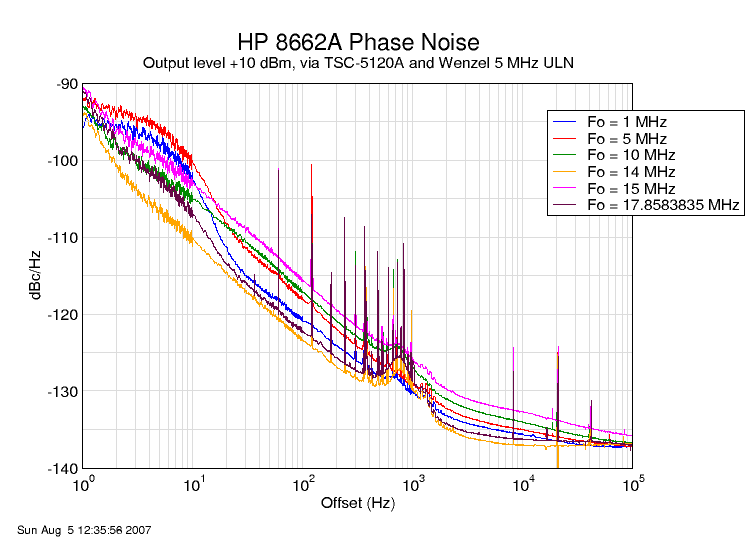 The HP 8662A has been a gold standard for low noise RF synthesizers. Unfortunately, the way HP presents performance data in the 8662A manual makes it a little confusing to see the whole picture. This table pulls together the various phase noise information contained in the manual, including corrections published in the errata. The "Absolute" and "Residual" numbers come from the "Typical Performance" part of the specifications. The "Absolute" data is interpolated from a graph, so it has at least a couple of dB ambiguity. 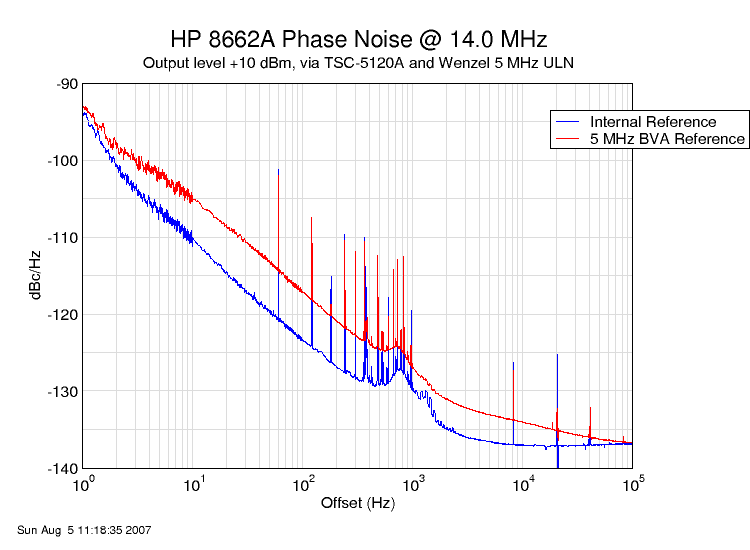 I measured the phase noise of the 8662A at several HF frequencies. Here's a table showing my results, as well as the HP-measured residual noise for the 0.01 to 120 MHz range. Here's a plot of the full results. I also included the oddball 17 MHz frequency to see whether the noise was significantly different with a random frequency that exercied all the digits of resolution; it's interesting that it shows significantly lower noise than the round numbers do.